September 27tH we will open for our 12th yeAr! 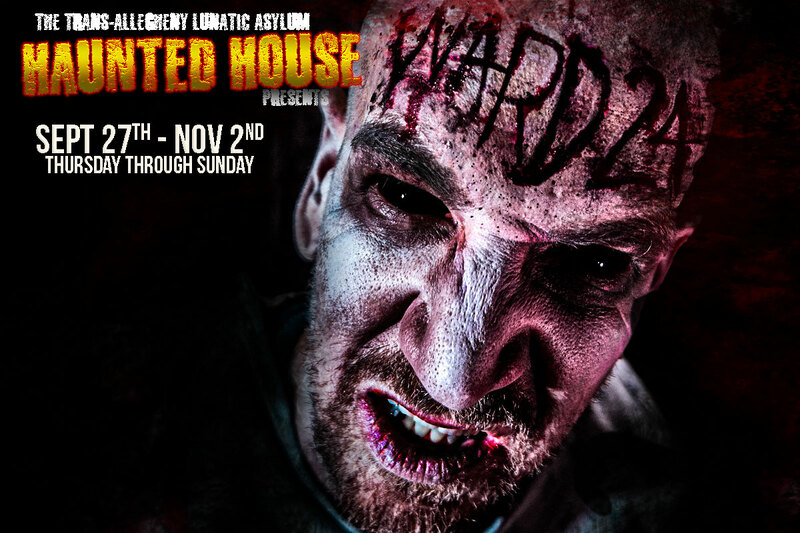 In the halls of what once was the area's most rePutable hospital, a demented doctor has brought his Patients' nightmares to life. SocietY's undesirable souls have been abandoned in the dark recesses of this safe Haven. Their sole purpose is to serve the good doctor And his sadistic experiments. Scratching and cLawing their way through their new existence, patients succumb to deLirious visiOns before becoming one of the doctor's creatures. Pushing the limitations of reality, Doctor Cerebus continues to seek immortality. Can you survive a journey into the Asylum, WhEre the vEil betweeN life and death has been lifted?